Sometimes when you take a photo it’s hard to get a feel for the actual scale of things. It isn’t until you add something else to the picture that you get a better sense of just how large or how small that object really is. 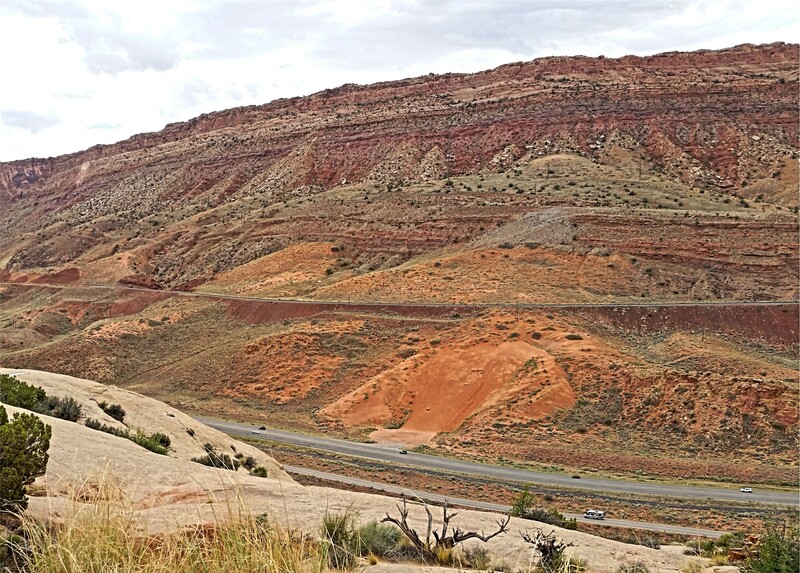 Normally the vehicle seen in the lower half of the first image might seem quite large but, seen against the immensity of the mountains in Utah, it appears no bigger than an ant scurrying across the landscape. 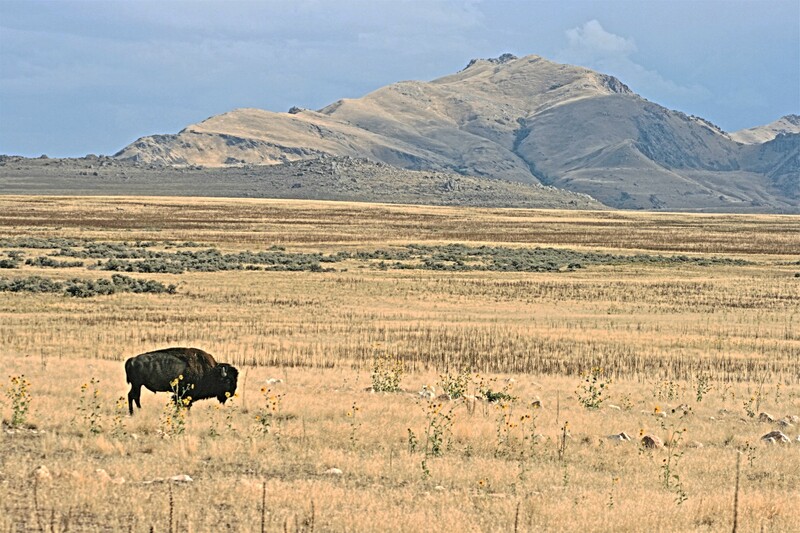 The same could be said for the buffalo seen here on Antelope Island in Utah. 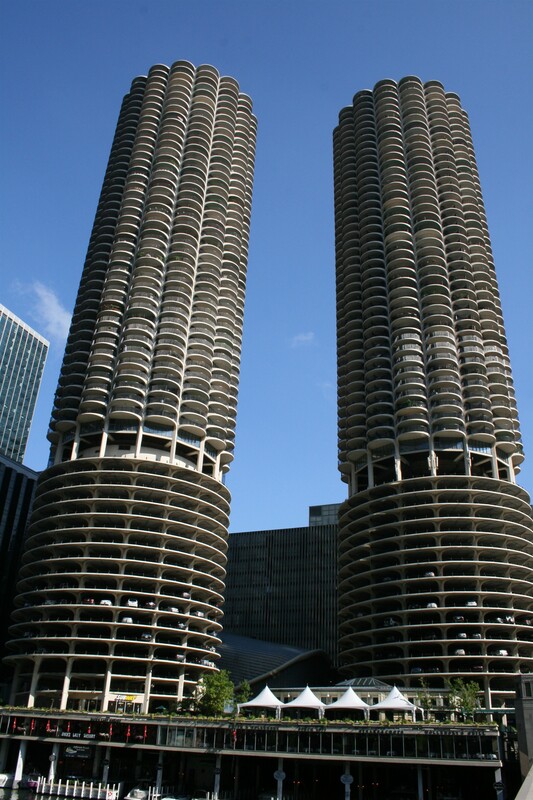 The cars in the lower decks of Marina City in Chicago look like nothing more than children’s toys. 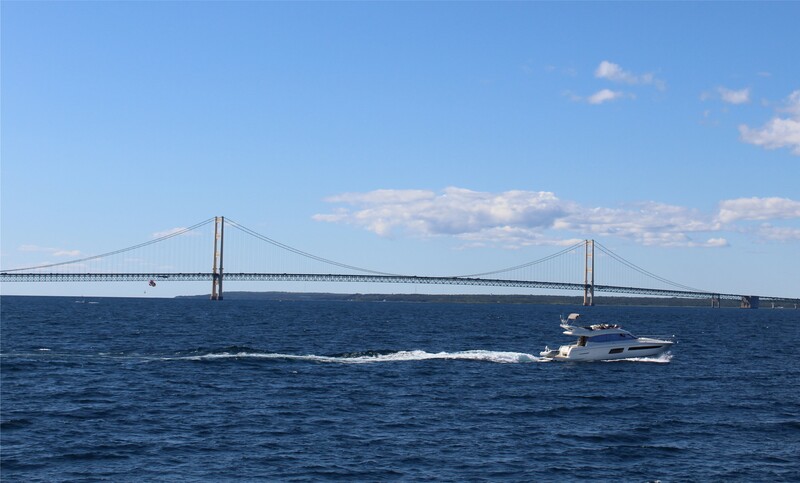 You will have to look closely at the left of this picture to make out the parasailer, dwarfed by the mighty Mackinac Bridge in Michigan. He makes even the boat seem huge. 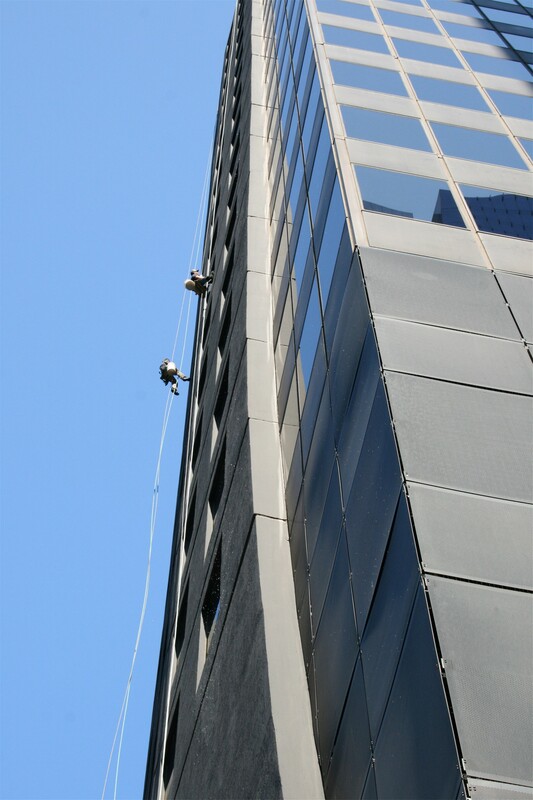 A close-up of these two window cleaners in downtown Chicago wouldn’t necessarily give you any idea of the height at which they were working which is why I pulled the camera back to give a better view of where they really were. Window cleaners – phew…I admire them. Nice shots for the challenge. Thanks, Leya! I agree about the window cleaners. I wouldn’t do that job for a million. Well, maybe, but you’d have to blindfold me. I know. But thank goodness for them for the great shot. Great choices for this. Nice shots! Pingback: Scale: Fog – What's (in) the picture? Great photos and learning examples too. Thanks. Thanks, Lletty! And thank you so much for commenting. Much appreciated. I’m enjoying reading your posts and looking at your great photos. I think a main reason old civilizations didn’t develop natural perspective in their artwork is that distance things do look so small. People preferred to see other people, whether far or near, at a consistent human scale. Some well composed photos there, and some impressively large things.